Its been a while since I posted because currently I am preparing for an exam I have towards October end, thus the lack of blogs and vlogs. But November would be different, thats a promise. Now this post was kinda urgent because I recently discovered a newly launched product during one of my relaxing-destressing trips at the mall and I had to share it with you guys. Anyways, so this tray thing at the top of the transparent plastic bottle is actually a plastic tray to place a cottonball. 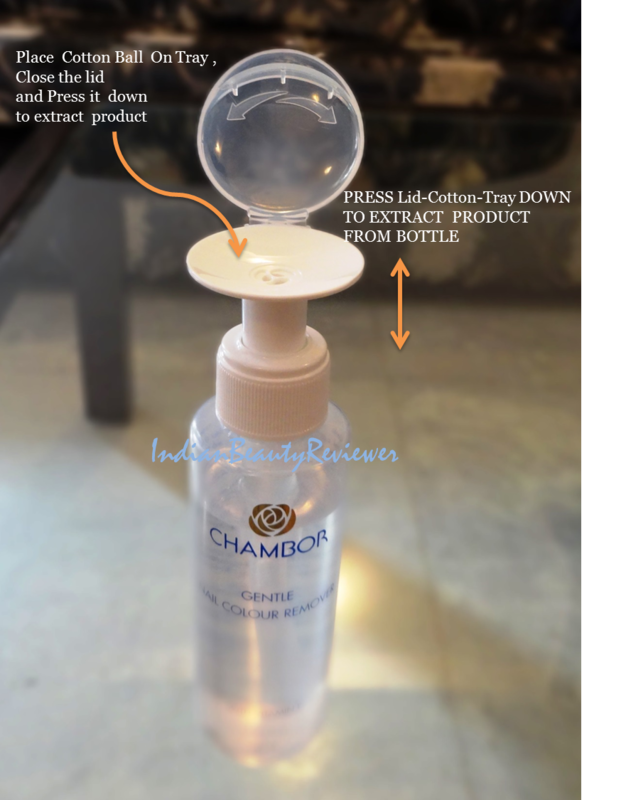 This tray when pressed down along with the cottonball and the lid on top, will extract the product from the bottle below. I found this design really fascinating and in one go just bought it to share it with you all here. 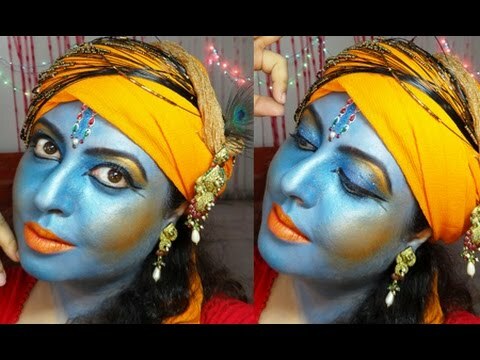 The product is priced at INR 245/- for 100 ml which is comparable to other makeup brands commonly available in India. Except that you have to buy 100 ml in one go as a smaller packaging was not available. So when I tested it out at home, I noticed that... 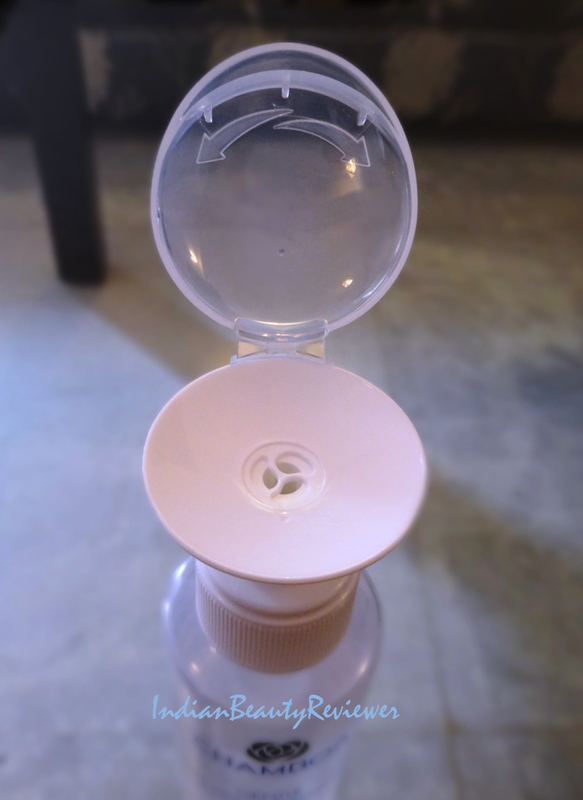 Placing the cottonball over the tray and closing the lid and then pressing the whole assembly to extract the product was really unnecessary because it was difficult to control the amount of product that got extracted from the bottle. It seemed a bit tricky getting the tray-cotton-lid assembly to move down together in one swift and smooth movement. When I managed to do that, too much product was pumped out. I prefer soaking the cotton with the remover in parts rather than wet the whole cotton ball in one go and let it drip all over my fingers and surroundings. The product got wasted and consumed very quickly. It was a messy ordeal. Also a lot of droplets remained on the tray which really was a sheer waste !!! The product itself was gentle, effective and smelled like rose water. It has added Vitamin E like the bottle says. Overdrying was not a problem at all. It was effective in removing my existing nail color but took a little extra time than the other regular ones available in the market. The cap is twistable-lockable so that it doesn`t accidently get pressed while it is in transit but I have yet to try out this aspect. I like the product per se but not its packaging. 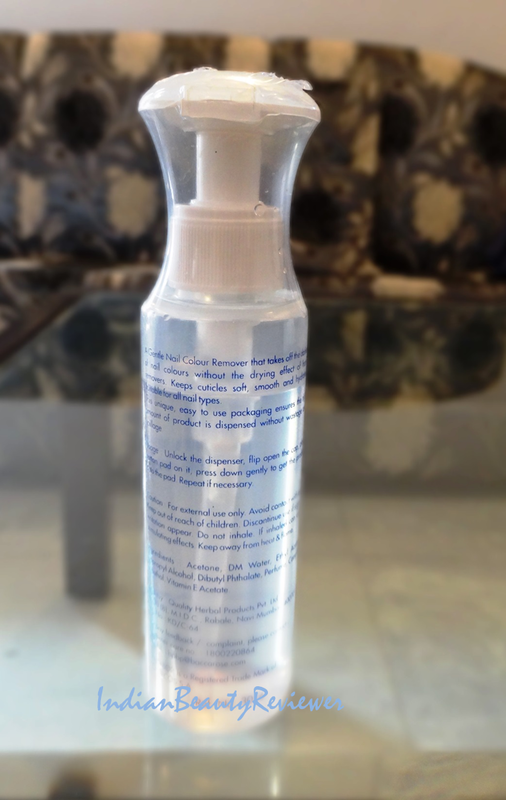 The bottle design even though looks interesting perched on the dresser, causes product wastage. 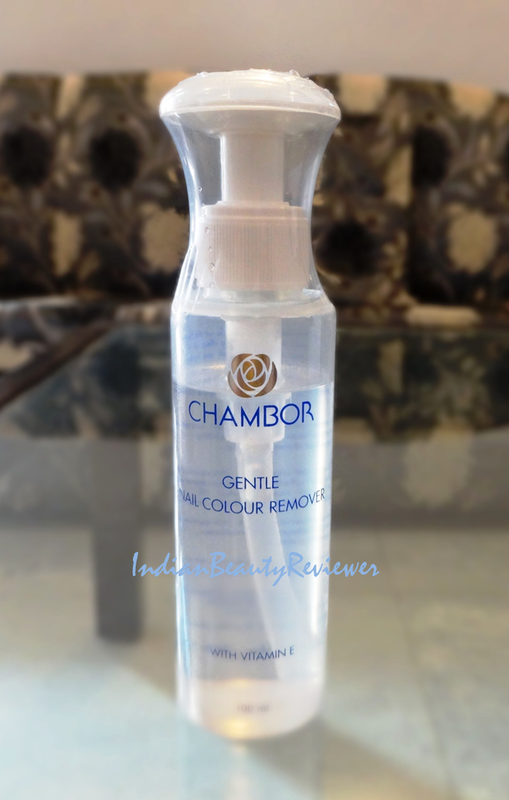 If you need a gentle, non-drying, nice smelling and effective nail color remover I recommend you go for it . Just a request to the Chambor people, a regular pump with a nozzle would have sufficed the purpose although I have to admit that the unique bottle design will attract its share of attention and potential buyers. Kudos for the product itself. 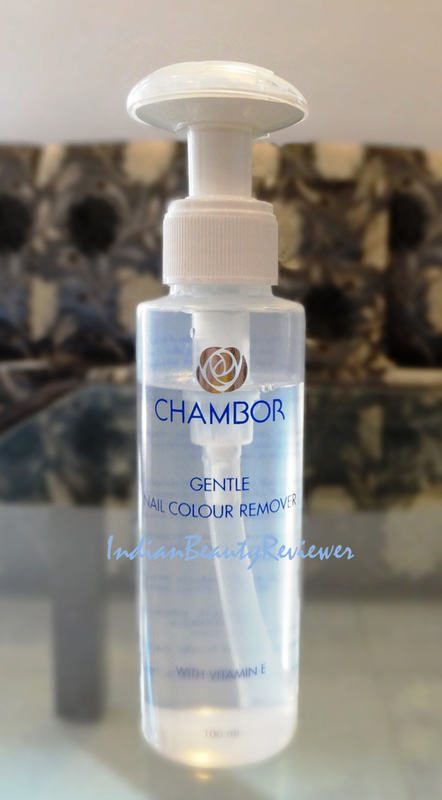 Do let me know in the comments section below about your experience with this nail color remover when you try it.